The capital and the largest city in the Kingdom of Saudi Arabia, Riyadh means lush gardens in Arabic. And the beauty of the vibrant city makes the name very apt. Riyadh is as beautiful as it is rich in business and luxury. So, in a city famous for elegance, functionality and extravagance, where would one stay? What are the best hotels in Riyadh? 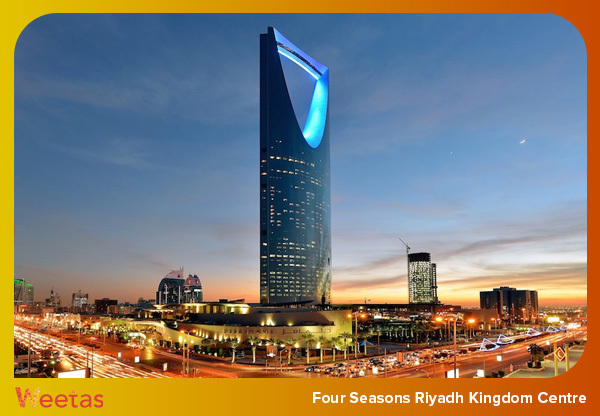 If you are traveling to Riyadh for business or for leisure, this article is for you. To help you decide where to stay in Riyadh, we have gathered here a list of the best hotels in the city. 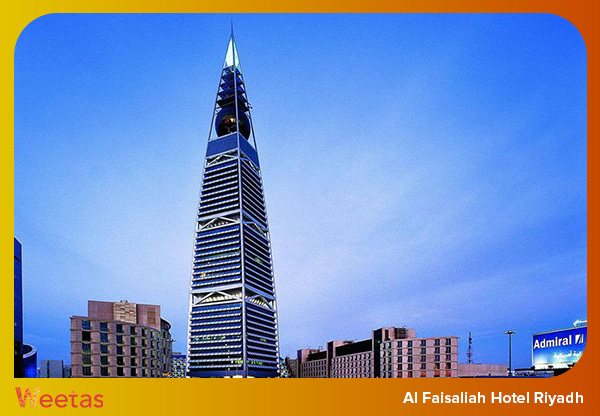 Al Faisaliah Hotel Riyadh, a Rosewood Hotel, features modern elegance and a prestigious location. The hotel is strategically located in the prestigious business and residential area, Olaya, in close proximity of the Diplomatic Quarter, ministries, government offices, shopping and business centers. The culinary offerings in the hotel include five amazing restaurants. And the hotel boasts the largest column-free banquet and meeting facilities in the Kingdom. It also boasts a large 20-meter indoor pool. The stunning hotel comprises 224 rooms and suits. Al Faisaliah Hotel lies in Al Faisaliah Center, which includes luxury shopping units, entertainment facilities and an impressive office tower. 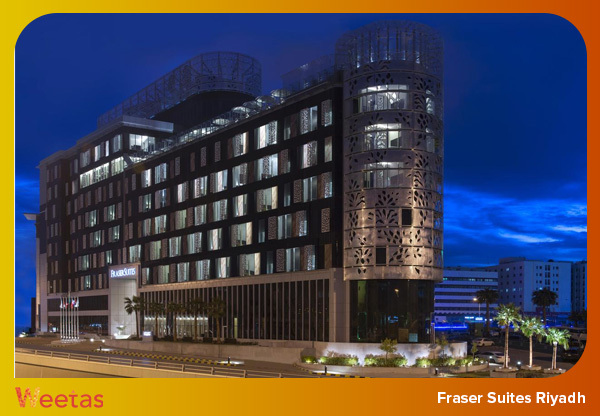 This hotel offers you all the Luxury and comfort of the Four Seasons within the distinct location of the prominent Kingdom Centre. It lies in close proximity of all the significant business centers in Riyadh, arts and culture hubs as well as shopping destinations. The hotel comprises 249 of the most spacious hotels rooms and suites in the city. It is perfect for business and also for leisure; it features premium business facilities such as extensive, state of the art meeting spaces as well as excellent entertainment facilities including several fine dining restaurants. 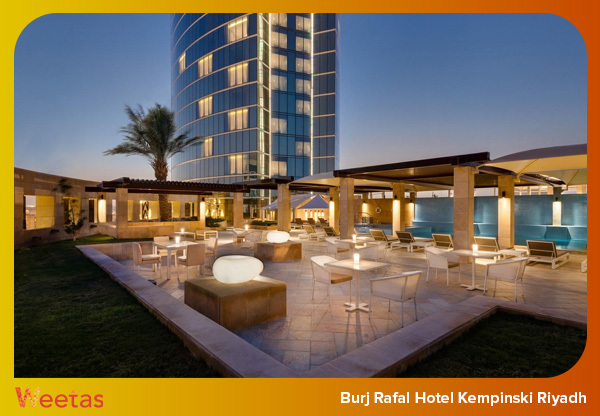 Burj Rafal Hotel Kempinski offers a unique mix of Arabian hospitality and warmth with the utmost elegance and flair which the international brand is famous for. From the outside, the hotel shows brilliant Arabic architecture. From the inside, it comprises 349 rooms and suites furnished and equipped with luxury and comfort in mind. This hotel, with its first class amenities which include several swimming pools and exquisite fine dining restaurants promises to be your peaceful oasis amidst the dynamic capital of Saudi Arabia. Al Khozama is Arabic word which means sweet desert flower. And this hotel truly flourishes in the heart of Riyadh. Situated in the elegant Olaya district, Al Khozama comprises 187 hotel rooms and suits, in addition to meeting and conference space. Al Khozama is part of a complex that includes apartments, office space, restaurants, leisure facilities and retail shopping. And that is why all the amenities are designed with the business traveler in mind, such as high-speed Internet connectivity and international direct-dial telephones with modem connections. Moreover, all the suites feature in-room fax machines and safes. 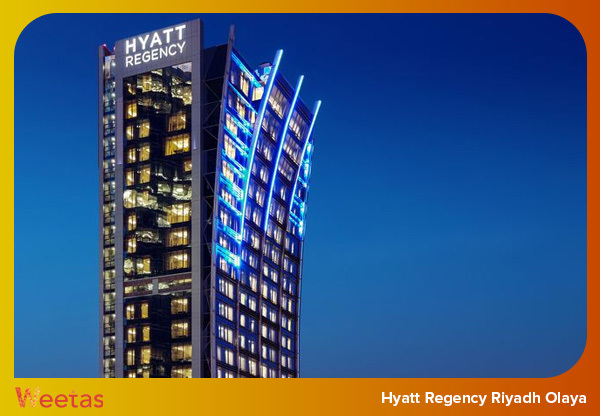 Situated in close proximity of King Abdullah Financial District (KAFD) and Riyadh International Convention & Exhibition Center, this hotel is perfect for both business and leisure travelers. The hotel comprises 261 rooms and suites, all with amazing views of Riyadh. It also features modern architecture, and many business facilities such as 1,000 square meters of meeting venues with theater-style or ballroom seating. In addition to numerous family-friendly amenities such as an indoor swimming pool, kids camp and a spa& fitness center. Fraser Suites Riyadh is one of the most popular hotels in Riyadh. Travelers love this luxurious 5-star hotel. Located close to the main commercial and entertainment attractions of the city, Fraser Suites Riyadh comprises luxurious hotel apartments. Each elegant unit includes a spacious living and dining area, a fully equipped kitchen or kitchenette, bathroom with bathtub and luxury amenities, and Nespresso machine, all that in addition to the spacious bedroom. The hotel also features first rate leisure amenities including fitness center, steam room, sauna, outdoor pool and terrace as well as a great children’s club. 30-minute away from King Khalid International Airport, 8-minute drive from Al Faisaliah Mall and 20 minutes from the historic city of Deraiya, the hotel offers a great location. 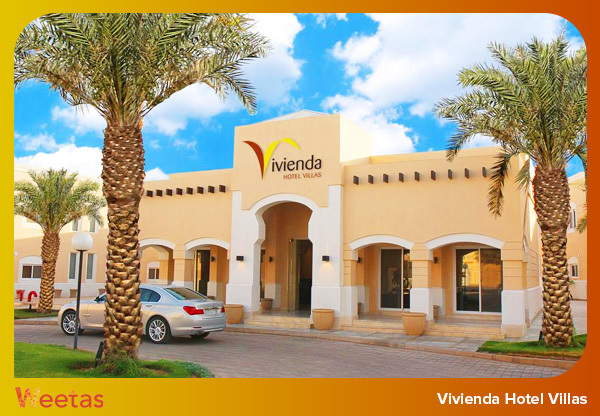 Vivienda Hotel Villas offers first class luxurious accommodations in Riyadh. It is one of the most extravagant hotels in Riyadh. The luxurious villas comprise several bedrooms, bathrooms, a sitting area, a dining area, and a fully equipped kitchen. The hotel features a great outdoor swimming pool, a first class fitness center and an excellent restaurant. Guests have rated this hotel as good value for money. The villas are very well worth the price as they are elegantly furnished and enjoy a premium location in the city. 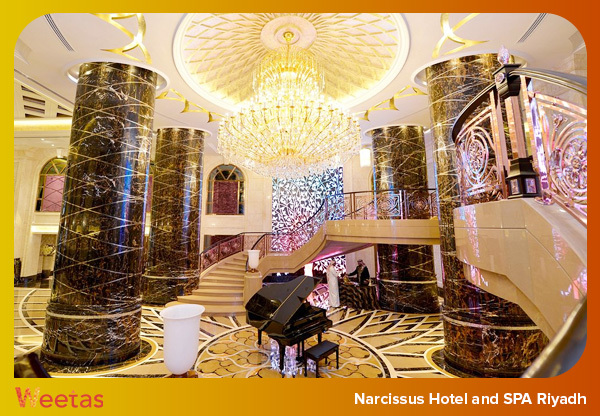 Narcissus Hotel and SPA Riyadh is strategically located in the heart of Riyadh’s business and financial center. 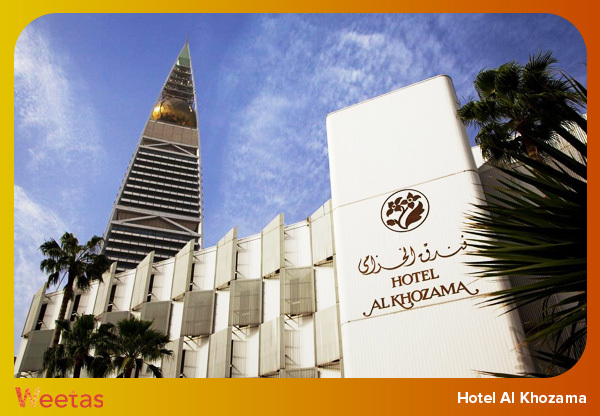 This excellent 5-star hotel has won the World Luxury Hotel Award in 2015; it is one of the best hotels in Riyadh. 35 minutes away from King Khalid International Airport, 5 minutes away from The Kingdom Tower, and 15 minutes away from Riyadh International Convention and Exhibition Center this hotel features a prime location. Moreover, it features several fine dining restaurants and first rate meeting facilities, a spa, a swimming pool and an excellent fitness center.